There is something wrong with Ester! 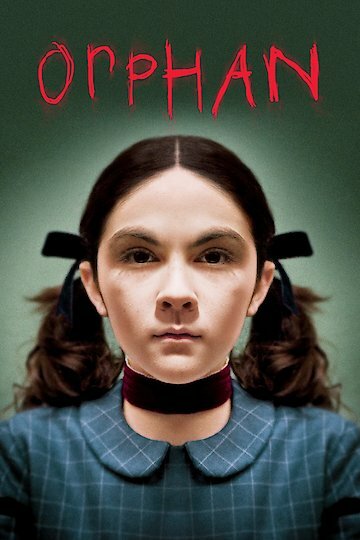 Orphan is a physiological suspense movie about a young little nine year old girl called Ester. This movie features mysterious scenes, abnormal behavior and a weird going on. This film was directed by Javme-Collect-Serra and it was created and written by Alex Mace. In addition, the screenplay of orphan was done by David Leslie Johnson. But to add, the people who are bringing the skin crawling chills to the fill include the actors: Isabelle Furhrman, Vera Farmiga, Peter Sarsgaard, Nryana Engineer, CCH Pounder, John Ottoman and Jimmy Bennett. This movie runs for 146 minutes and during this time viewers are taken on a roller coaster of many different emotions. Characters of the film include: Kate: a mother and talented musician. After losing her unborn child, she plans to adopt a child. Ester: a nine year old orphan who has a bone-chilling past. Max: Kate’s Daughter who is deaf and mute. Danielle: Kate’s video game loving son. The plot of the film begins in a bone-chilling nightmare where the Kate Coleman, one of the protagonist of the film and a talented musician, is in a hospital with blood surrounding her. She wakes up in a fright; she was having a nightmare about her dead unborn child. Because of the death of her unborn baby, Kate became highly depressed, and relies on taking antidepressants to combat this. Kate and her husband decide to adopt a child in memory of the one they lost, and that’s where our story begins. Kate and John head down to a home, an orphanage, where several children are playing. The couple then meets up with the head nun of the orphanage, and John Colman, Kate’s Husband, goes upstairs where he finds a sweet little girl painting pictures. John enters the room and he begins a conversation with Ester, a sweet Russian orphan. After they talk, John calls Kate, and they decide to adopt Ester and take her home. Upon her arrival, John and Kate introduce Ester to their two children, Max and her older brother Danielle. Max is a sweet little girl who is 7 years old and is deaf and mute. Her older brother, Danielle, dislikes Ester from the beginning. Ester starts off as a typical 9 year old girl; loves to play, paint and receive presents. But as the film progresses, viewers are shown that Ester has something to Hide. This movie is rated R.
Orphan is currently available to watch and stream, buy on demand at Amazon, Vudu, Google Play, FandangoNow, iTunes, YouTube VOD online.